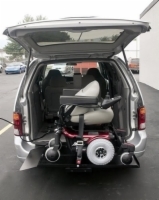 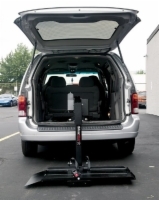 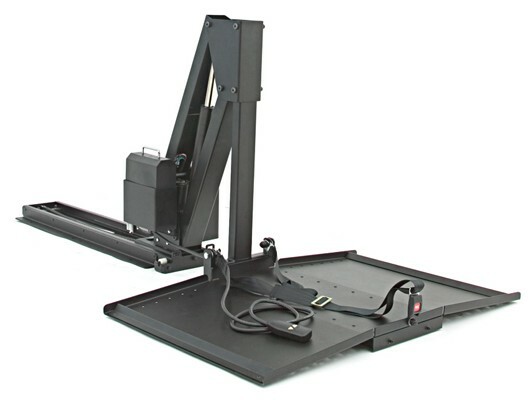 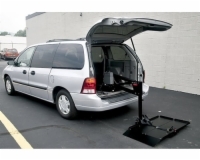 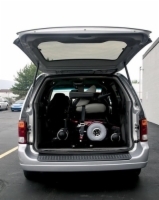 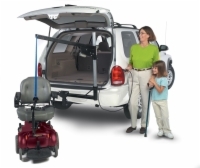 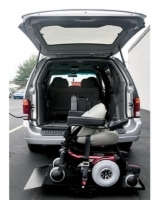 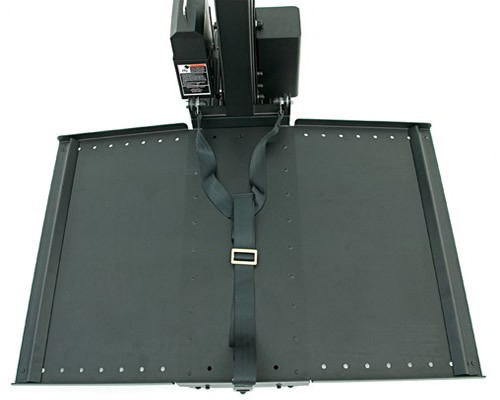 The Pride Backpacker Plus lift provides a smooth and easy way of storing your power chair or scooter into the back of your minivan for your next trip. It?s easy to use, all you have to do is simply press the button on the remote and a platform will lower from the back of your minivan. 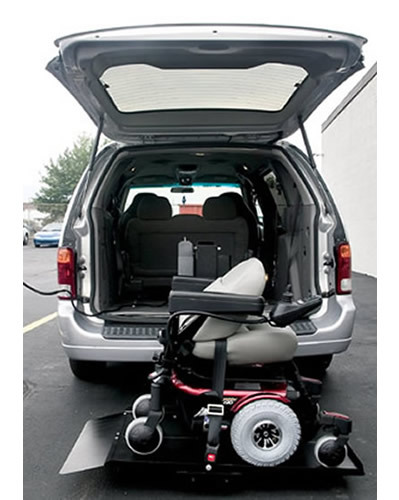 Next, drive your power chair or scooter onto the platform and strap it down. Then all it takes is a simple press of the button and the platform will raise, automatically loading your power chair or scooter into the back.